There is overwhelming evidence provided by scientists worldwide on the significant role played by insect pollinators, honey bees mainly, in enhancing crop production and conservation of biological diversity. This is especially true for shade grown ecofriendly Indian Coffee. The worldwide economic value of the pollination service provided by biological pollinators is in the range of 300 to 350 billion U.S. Dollars. 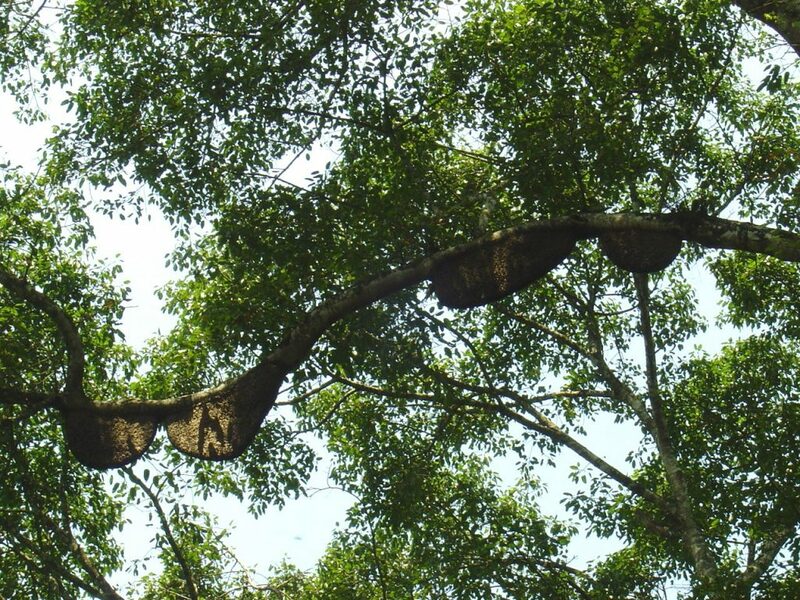 This article highlights the important role played by honey bees in cross pollination of Shade coffee. 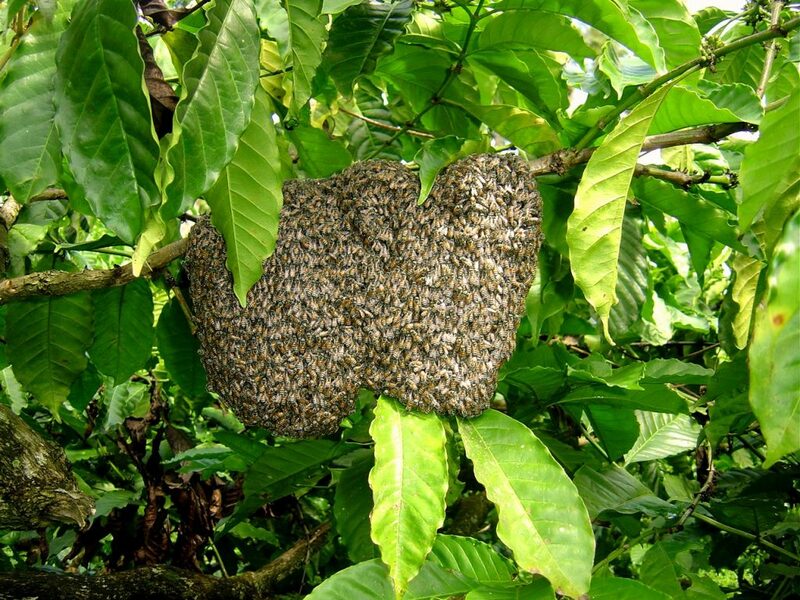 There are more than 20,000 species of wild bees and only a few are domesticated. 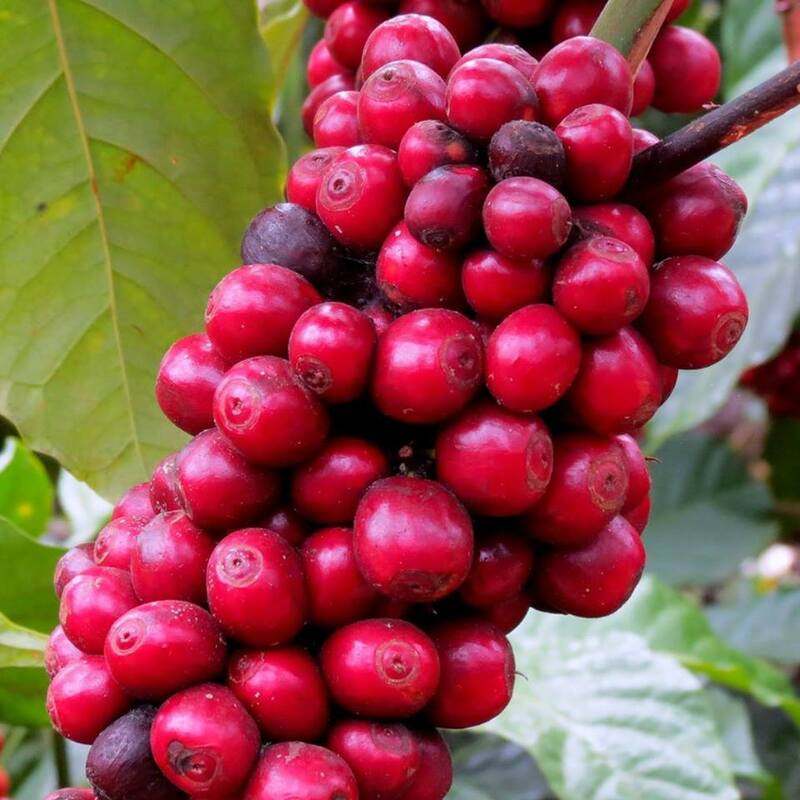 Despite the fact that there are more than 100 species of Coffee, worldwide, only two species, namely Coffea Arabica (Arabica) and Coffea canephora (Robusta) are economically cultivated. 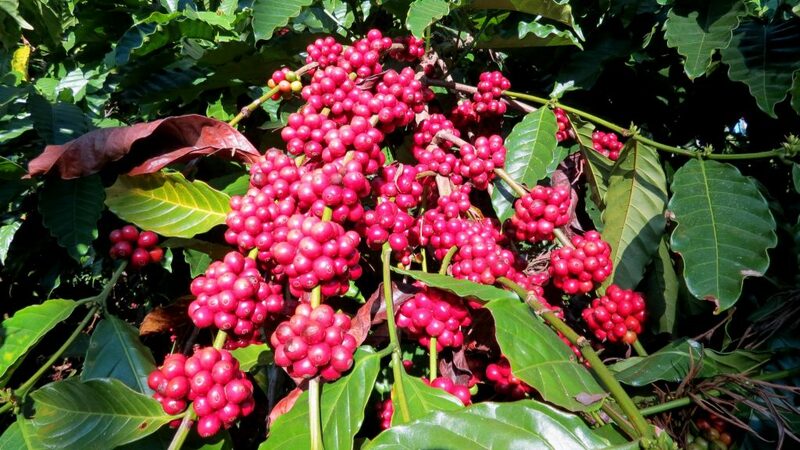 In India, Robusta occupies a major portion, and nearly 70 % of the area cultivated comes under Robusta and the balance 30 % under Arabica. On a global scale, the trend is reverse. Arabica accounts for almost 80 % of the world’s coffee production and the remaining 20 % by Robusta. 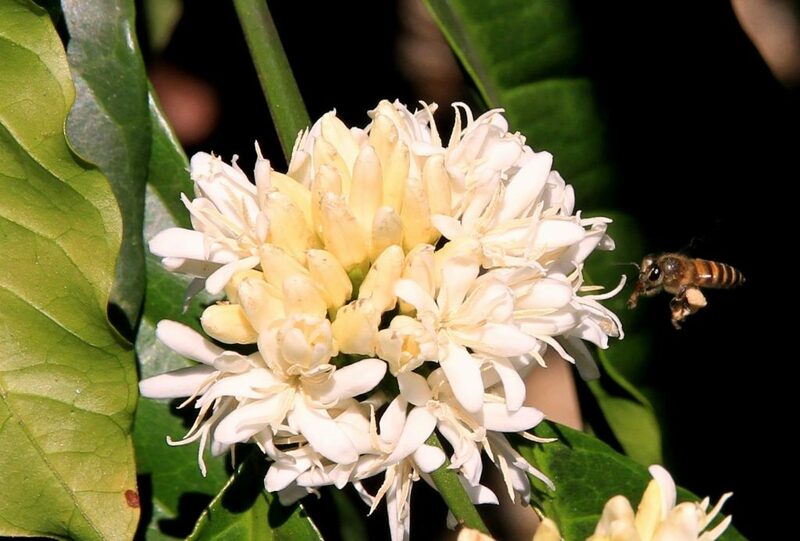 Pollination is a critical link in securing better yields in coffee. Pollination refers to the transfer of pollen from the male part of the flower, the anther, to the stigma, which is the female part of the flower. Honey bees and butterflies are the primary pollinators. 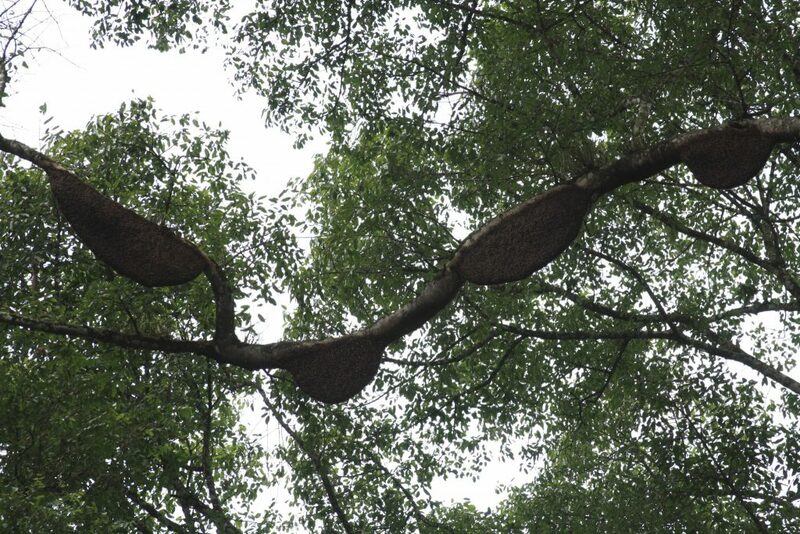 We have observed three types of honey bees as the main agents of pollination. 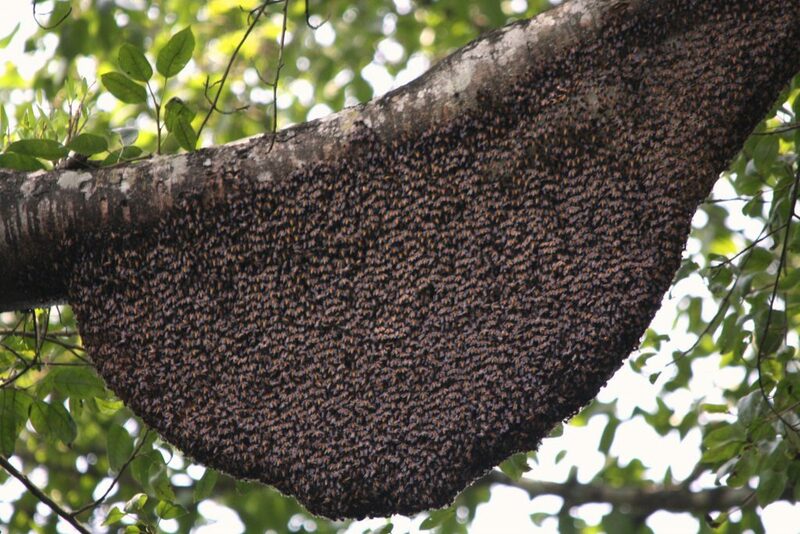 The giant Asian honey bee Apis dorsata, Apis cerana and Tetragonula iridipennis. Wind and moisture also helps to a certain extent. Pollination takes place within five to seven hours after flower opening. Is completed within 48 hours after pollination. 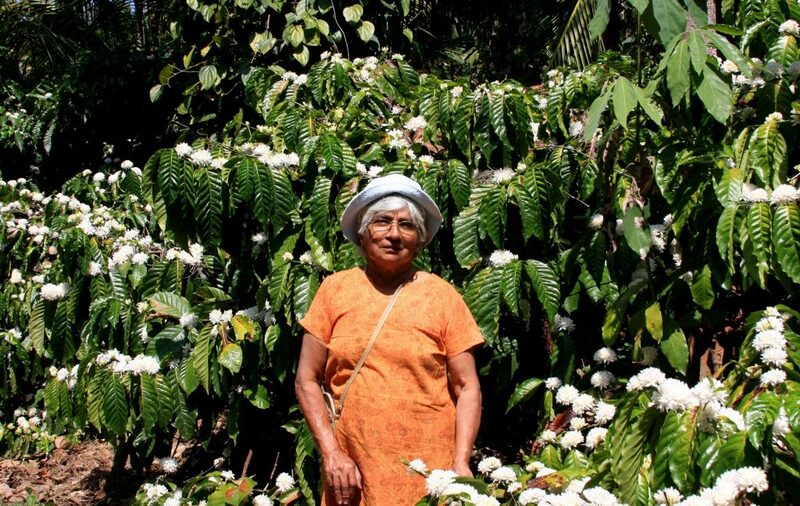 Worldwide coffee crop estimates are determined by observing the extent and intensity of blossom. Some countries make use of satellite images to estimate the size of the crop. Flowering is a key tool in estimating production. 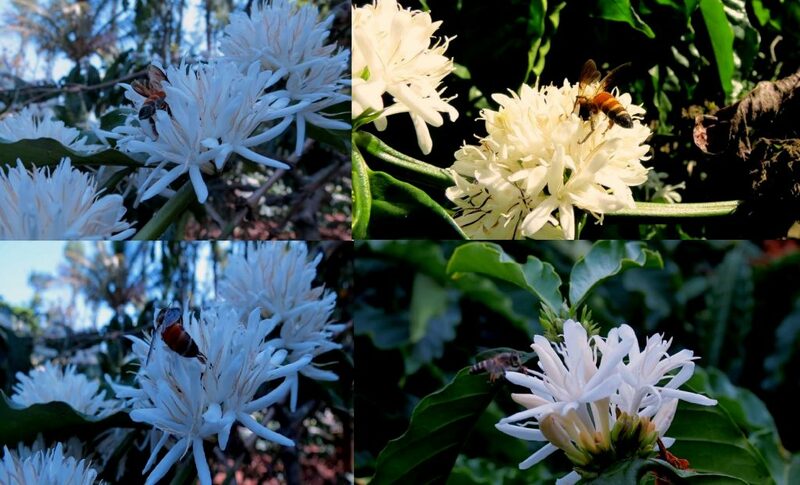 We have selected a 25 Acre Coffee block to boost running blossom with the primary objective of attracting honey bees and keeping them on the Plantation by artificially inducing coffee blossom in a time frame such that when blossom in one area fades, the next coffee blossom opens in the subsequent area. In order to achieve this objective, we carried out artificial sprinkler irrigation in a staggered way. In simple words, we irrigate only 5 acres on each day. 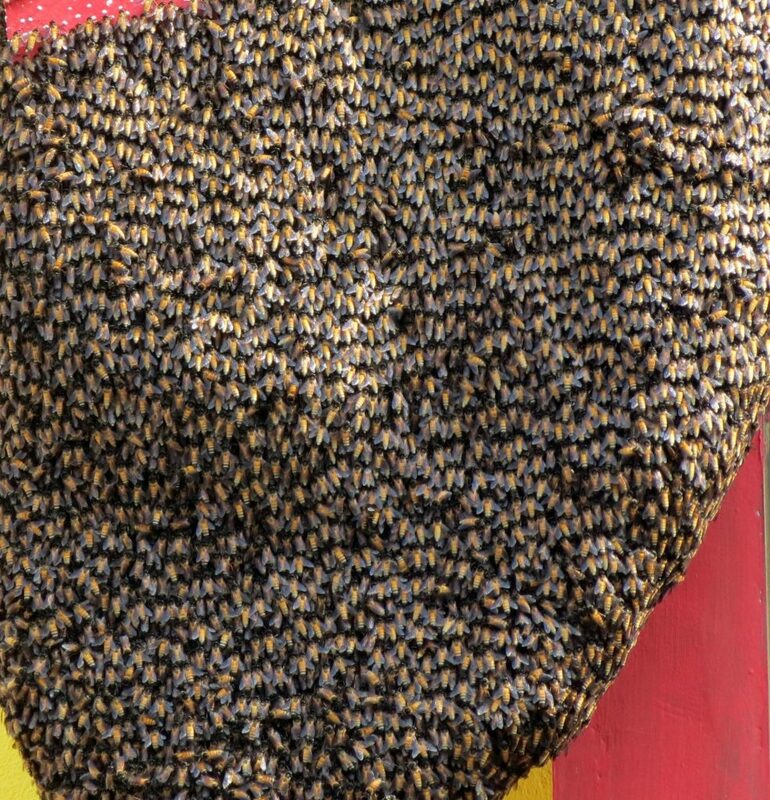 The flower opening takes place on the 8th and 9 the day and immediately attracts honey bees. 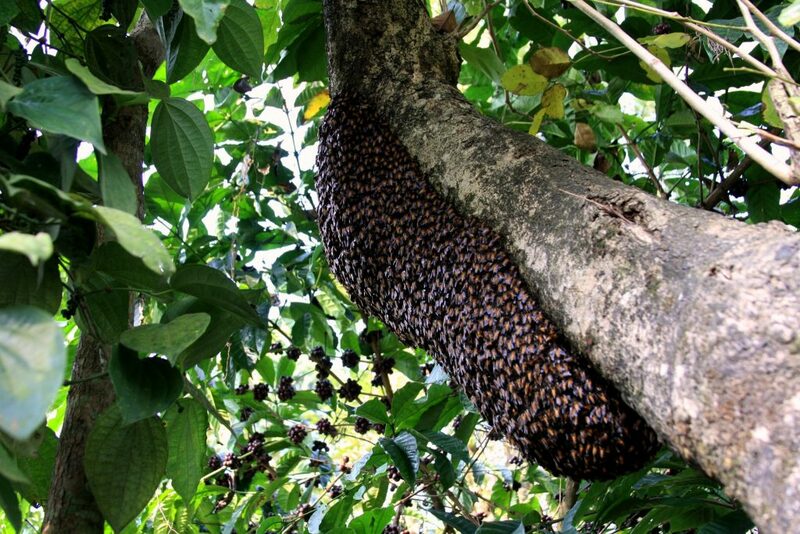 These honey bees remain in the Plantation because of the running coffee blossom. 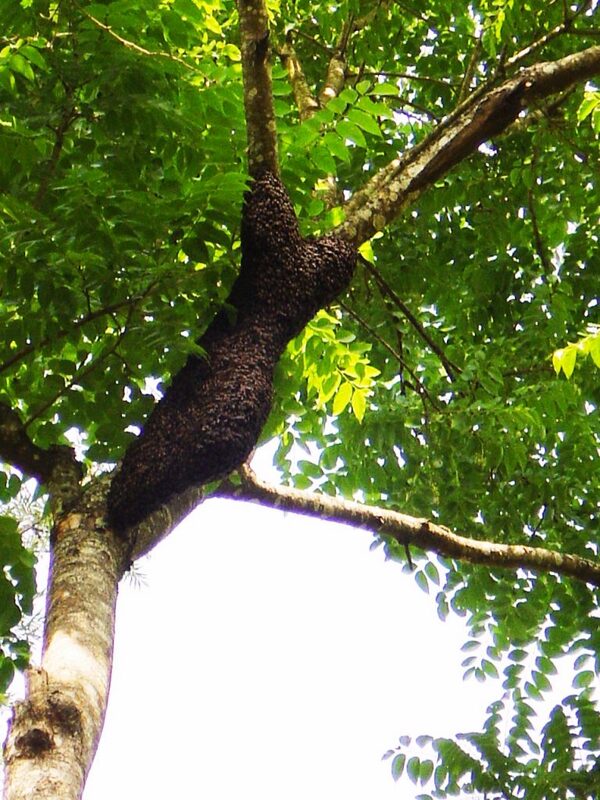 We have also tried to introduce domesticated honey bees to induce pollination by keeping beehives in wooden boxes and shifting the same into coffee blocks where blossom takes place. 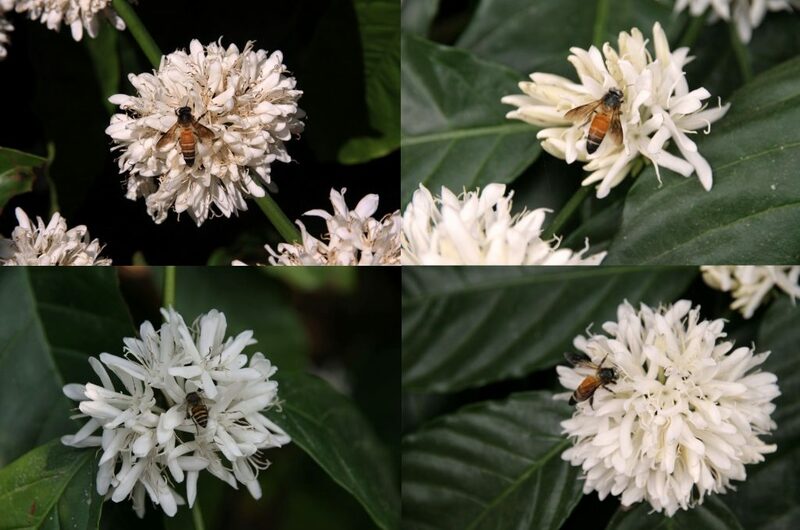 The staggered method of inducing coffee blossom has significantly increased coffee yields for the simple reason that due to global warming the wild bee’s population has alarmingly declined. 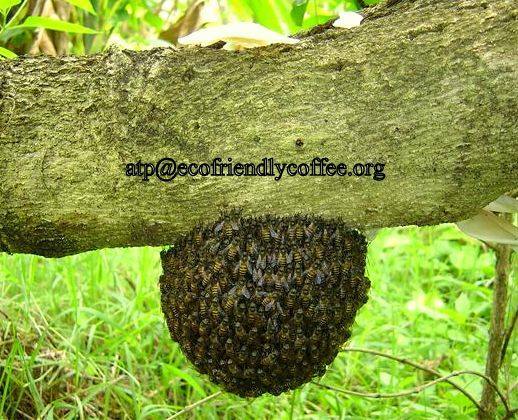 Hence, the coffee ecosystem has to rely on a limited population of native bees to pollinate millions of coffee flowers. 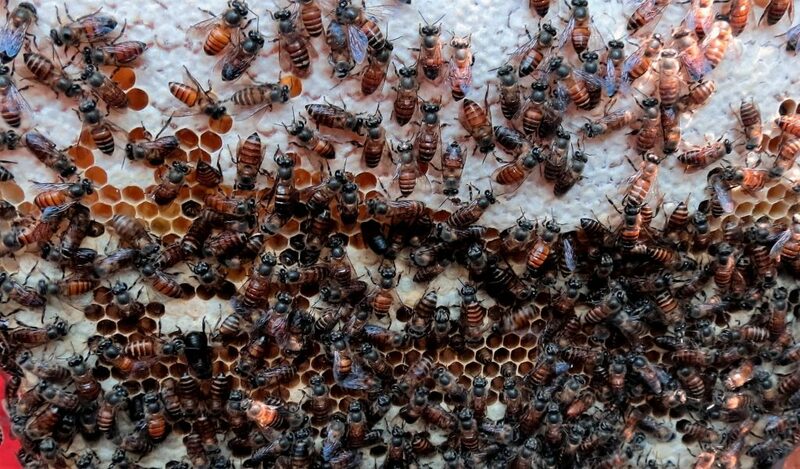 Introduction of domesticated honey bees for pollination has not really worked out because of problems associated with labor shortage in shifting the beehive boxes, disease, and robbery and so on. 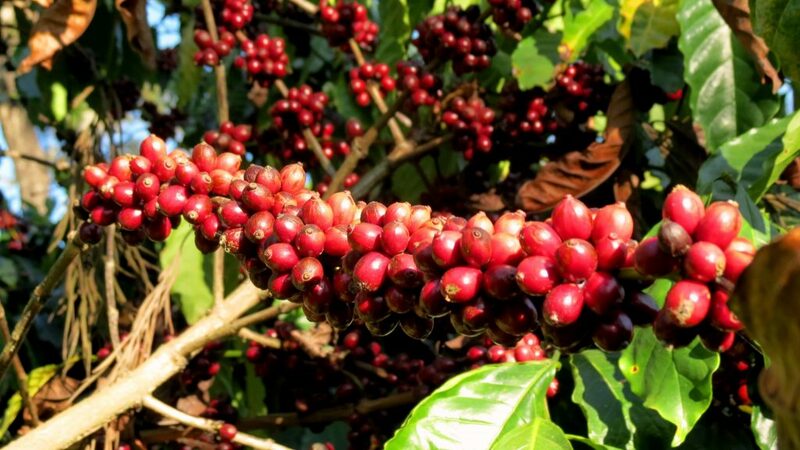 We have observed better fruit set with excellent bean clusters and more number of clusters of coffee per branch compared to Coffee blocks where the staggered method of sprinkler irrigation was not followed. 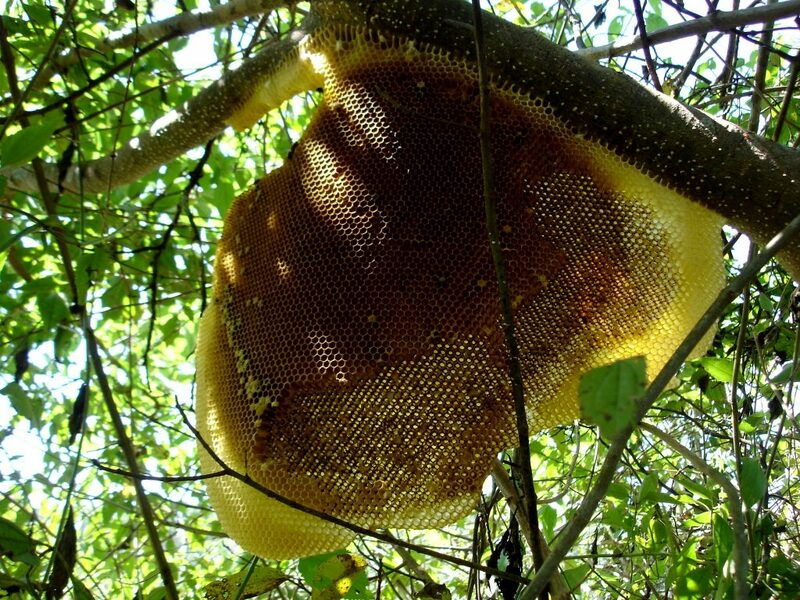 We have proposed a number of ways to effectively safeguard Honey Bee Populations. Introduction of flowering trees and fruit trees which provide flowers all year round. Avoid the introduction of genetically modified crops. Try practicing extensive farming rather than intensive farming which puts undue pressure on the land. Keeping a small patch of land as virgin forest. 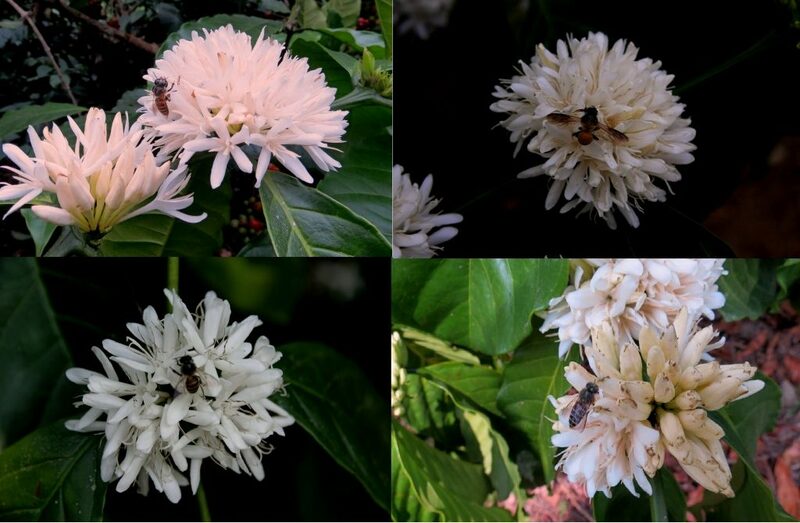 Flowering in coffee is one of the most important mechanisms in the evolutionary ladder, bringing about continuity of genetic material for future generations. 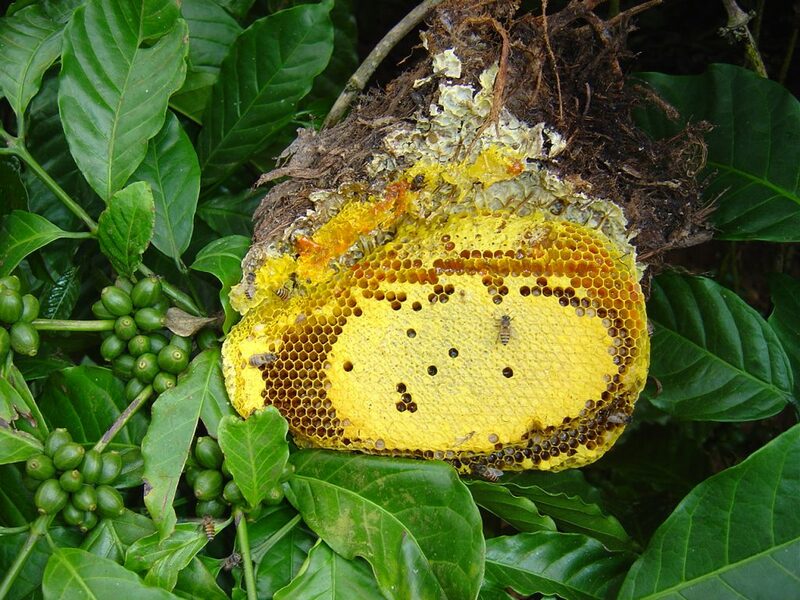 The vital role played by Honey bees in cross pollination of Coffee is well documented. 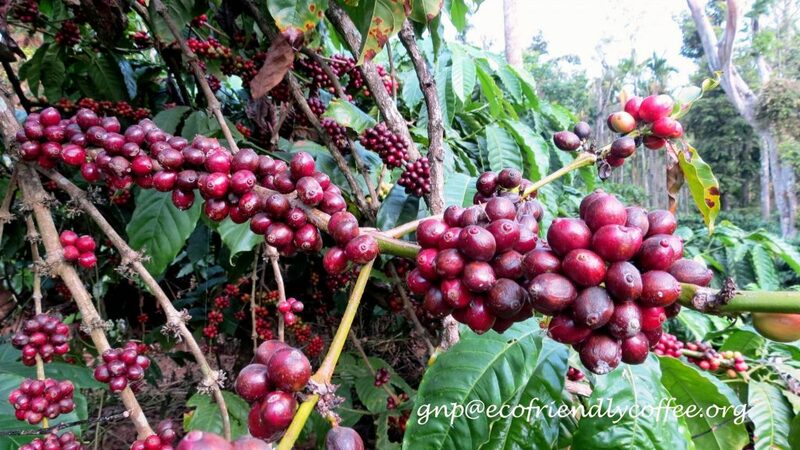 The World Coffee Research Institute has reported that Coffee in the wild has a very limited genetic diversity and whatever remains, needs to be preserved. In our opinion, cross pollination is an ideal way of keeping the gene pool vibrant for the present as well as future generations. In a sense, we need to encourage more and more pollinators inside shade coffee.